As a new mom of a toddler I was exhausted, eating whatever was around, and feeling like my body and my mind were a sad shadow of my former self. I had tried a bunch of diets but none of them really had lasting effects. My energy was super low in the afternoons and evenings and I felt depleted of all my reserves. I decided I needed to focus on myself, and so dove back into Ayurveda, the 5,000 year old wellness system of India. I felt like someone had given me afternoons back. I was eating food that was nourishing without living in the kitchen, so my digestion got strong again. And I felt connected again to something bigger than myself and my baby. 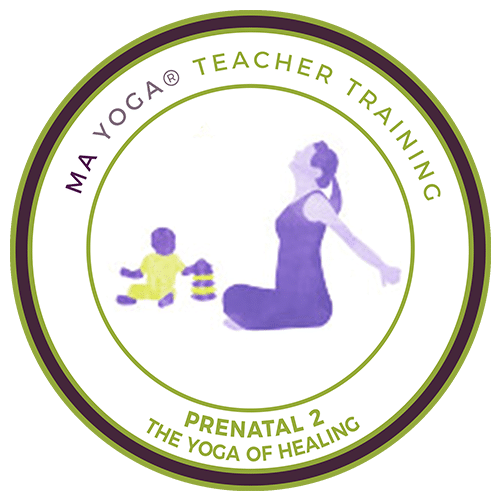 Eventually, I pared down what I had learned for busy women in their childbearing years, and called it MAyurveda: Living Ayurveda for Mamas. The oldest and most comprehensive health and wellness system still in use today, Ayurveda is 5000 years old and means “the science of life.” Many of its simple practices we’ve never even heard of, but often soon become as normal as brushing your teeth and taking a shower. 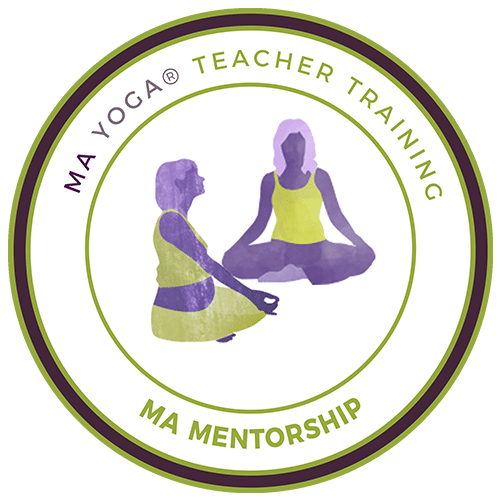 This online training is especially crafted for yoga teachers who want to know how to take care of ourselves and our students off the mat. I’m not sleeping well. What can I do? I am having digestive issues. Are there foods I shouldn’t be eating? I want to have a baby. Is there anything I can do to get ready? I had a baby and never fully recovered. How can I heal? I have a lot of stress from my job and I don’t have a lot of spare time. What are the most effective ways to calm the nervous system? please join us for our live online MAyurveda Class! Six weekly sessions – online or on the phone. As far as the training went, I loved it! I loved the community you created. I loved the ease of the call downloading and the materials to follow along with. I liked all the suggestions. I feel like I really learned a lot. I really loved the daily routine plan and to hear how it works for you and how it was working for the others. It led me to some experimentation, and I felt like I really bonded with my boyfriend as we both tried some things together. So far, I am living in a new way because of you! These are all things that I wanted to do but always put off for another time. Your class really pushed me to implement them for good! It was great to be able to listen and participate while taking care of my son and if I missed something I could re-listen to that part of the call on the recording. By adding a few of [the Anchor Practices] into my daily routine, I now have the extra energy to take care of my son without feeling drained. 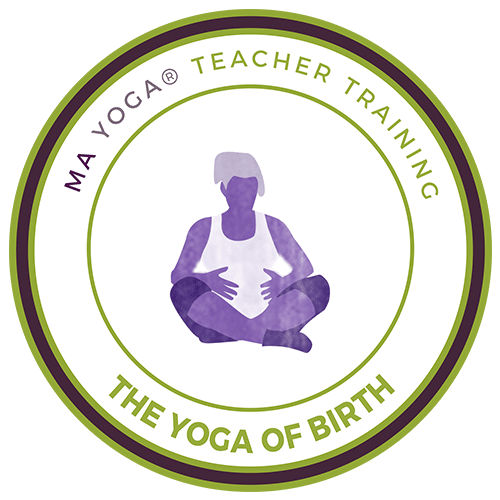 Something else impressed upon me from this past week and it is how much of our daily practice with the MAyurveda gets us back in touch with self care and self love–something as a new mom or working mom or mom of multiples… we often neglect, forget and fail to do. (Yup, I used the f-word!) And what a great way to set the example to those around us (to our children, to other women, etc…) by our actions. I have thoroughly enjoyed taking Mayurveda with you. Each class was so wonderful, spoke right to my level, and urged me into beautiful new territory. It was challenging in the best possible way. I’m inspired to continue my study of Ayurveda and I especially appreciate all of the resources you’ve given us. What a delight to be a part of it, and to find this nourishing and supportive community of girls! Life feels simplified, purposeful and healthy. I tried your Green Pancake recipe the other morning and Oliver (14 mnths) loved them. As did I!! 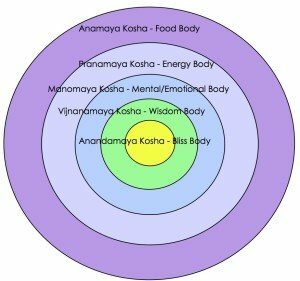 I’ve been following the Ayurveda daily time rhythm and its amazing how your energy shifts with it! Thank you for allowing your lectures to be recorded online. Even though I can’t be there during the live chats, it is nice to still feel apart of this class and to be able to learn the information and instill it in my life. If I had to pick my favourite element of the course, I think this would be it! I knew NOTHING about Ayurveda before this series of online conference video calls. It just made sense to me. I loved that the structure (weekly video calls) allowed the knowledge to really sink in and for more research afterwards to be done. I loved the sense of community created. I loved having homework tasks for the week, being given the time to allow new things to be trialled and for new routines to be created. This knowledge has improved my own personal health and given me the resources to advise others. MAyurveda also has helped me to improve my family life – who knew that would happen! You’re probably busy. 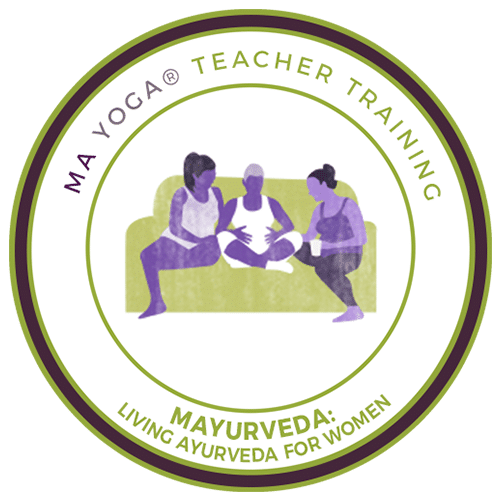 In addition to helping your students, MAyurveda can help you incorporate quick and easy routines to support you no matter how packed your day gets – without ever leaving home. Do you know how to support your own vibrant wellness off the mat as well as on? Do you have your own go-to practices that – no matter what’s going on – help balance your own constitution again? Do you dream of being able to make an impact on people’s lives through a deep, powerful connection to nature – daily rhythms, seasonal practices, aligning with the moon and more? I can’t wait to share what I call “Anchor Practices” – core habits of the yogi that keep us from getting burnt out, and help us maintain our connection to our highest Self whether we get to our mat that day or not! Each call comes with an ebook filled with important information you’ll use forever. Simple self-care practices that make a huge difference, easy ways to get living foods into your body that are fast and satisfying! If you are drawn to know the keys to vital wellness, there’s a reason. I hope you’ll follow your inner gps and join us! Can’t make it to all the calls? It’s ok if you have to miss some calls – all calls are recorded and can be downloaded after if you can’t be on live. 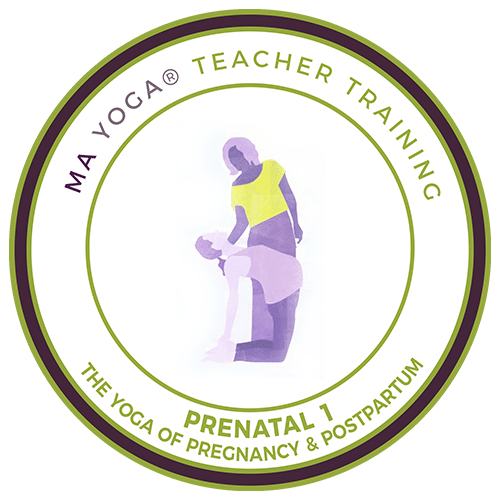 If you are taking MAyurveda to fulfill requirements for the Ma Yoga/Yoga Alliance Prenatal Certification, you must attend at least four of the six calls live, OR post the weekly homeplay in our private group for four of the six calls minimum so we know you’re getting the material from the vids. I do recommend you be live on the calls if you can, to get the most out of this transformative experience! Before you go - free eBook! 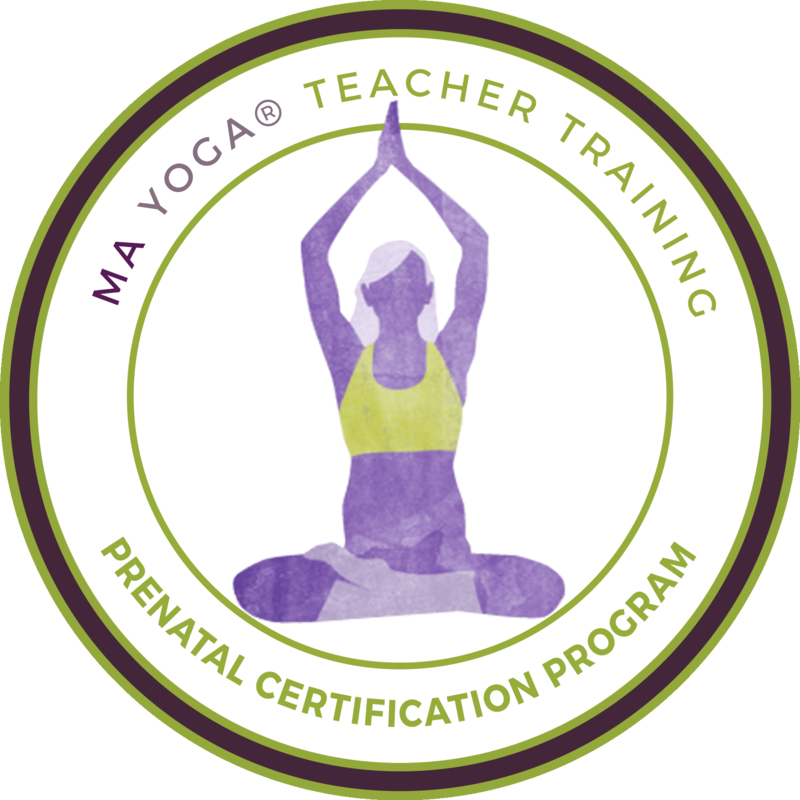 Join the email list for this course & you'll get my intro to MAyurveda eBook - 10 (Easy, Nourishing) Recipes I Wouldn't Want to be a (Busy) Mom Without!